Sustainably sourced Joma Wool™ and organic cotton are combined in a plush Euro top cover, providing exceptional breathability and moisture wicking…naturally. A 3” top layer of Talalay latex delivers a unique buoyant quality that relaxes muscles and relieves tension, lifting away the pressures of the day while you sleep. 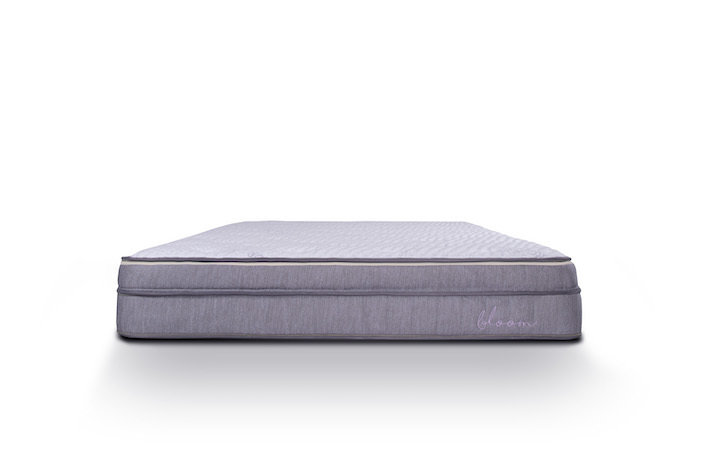 Made from natural Talalay rubber, Talalay latex is certified Oeko-Tex class 1 safe. 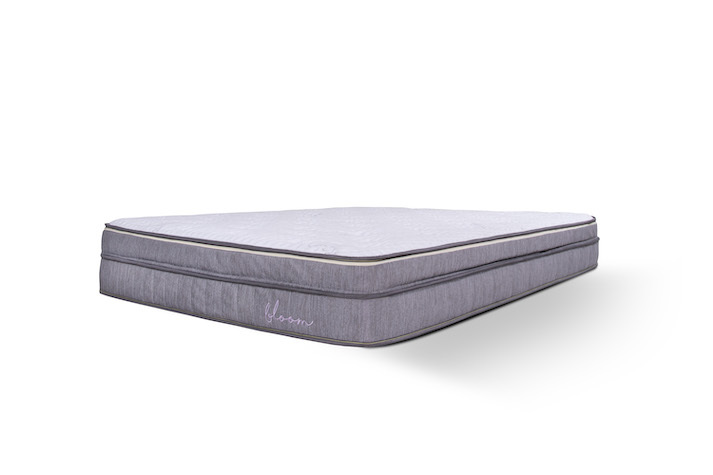 A firmer 6” Talalay latex core provides deep compression support in a foam that breathes up to seven times better than other latex or foams for cooler sleep. 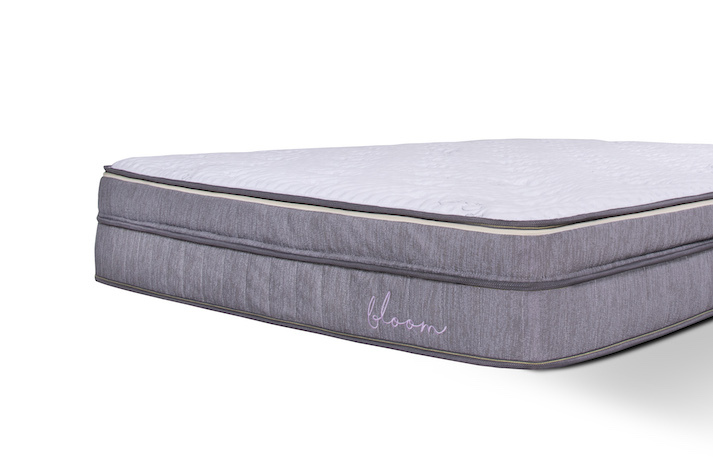 The Talalay latex foam used in the Bloom and Bloom Hybrid mattresses starts out as a rubber tree. Liquid latex is harvested from the tropical Hevea brasiliensis tree and turned into the highest quality mattresses, using eco-friendly production methods. Our Talalay latex foam is seven times more breathable than other foams, more hypoallergenic, and healthier—designated as Oeko-Tex class 1 safe. Wool comes from a renewable source: sheep. One of the most breathable materials available, it keeps you both cool in the summer and warm in the winter. Possessing the unique ability to repel water liquid while absorbing water vapor, wool is also an ideal attribute for moisture-wicking in your mattress. The special crimping process of Joma Wool™, used in both the Bloom and Bloom Hybrid top, provides you with a 40 to 50 percent increase in volume without weight, resulting in added plushness, as well as increased wear life. Cotton is inherently soft, absorbent and breathable. Organic cotton is specially grown using methods and materials that have a low impact on the environment. Organic productions systems used to create the Bloom and Bloom Hybrid help replenish and maintain soil fertility, reduce the use of toxic and persistent pesticides and fertilizers, and build biologically diverse agriculture. 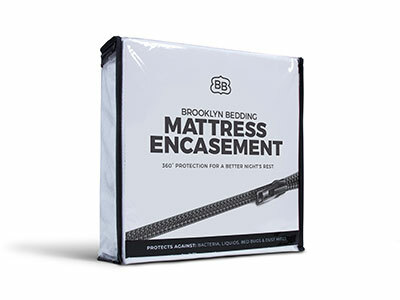 A premium top latex layer delivers a unique buoyant quality that relaxes muscles and relieves tension, lifting away the pressures of the day while you sleep. 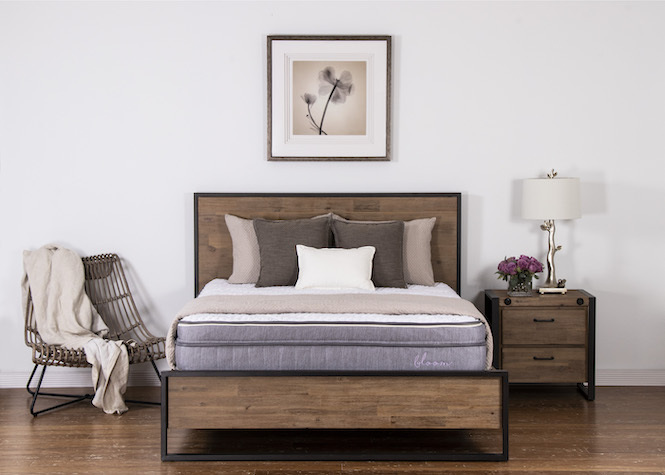 A Talalay latex core provides deep compression support in a foam that breathes up to seven times better than other latex foams for a cooler sleep.